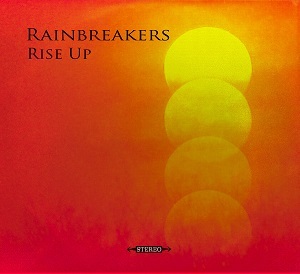 "Rise up" is the second EP from Shrewsbury based band Rainbreakers. It's rock music with a strong Blues element, as well as Soul and Psychedelic rock thrown in too. The EP was recorded at Purple Door Studios with producer Robin Andrews. The vocals from Ben Edwards have a 60s soul feel to them and really are something special. The EP kicks off with the excellent "On my own". It's a great song with those great soulful vocals and a lovely guitar sound - a really good introduction to the EP. "Waiting on you" has a more laid back feel with a lovely soulful sound. It's a song about a relationship going wrong. It's hard to find fault with this EP other than the fact it isn't a full album. It really is a great release. The sound is spot on - it's crystal clear and there's nowhere where you feel one instrument is being drowned out - it's all there for you to hear and enjoy. Lets hope Rainbreakers get to work on a full-length album soon as based on the quality of this EP I definitely want to hear more from them.